The seemingly endless string of iOS bugs is a sickness that just won’t go away. Just a month ago, people discovered that a strange hyperlink could cause Messages to crash. And while that issue has been patched, a new bug has appeared that can wreck Messages, along with a number of other major apps. First reported by Italian site Mobile World, the bug appears when someone sends you a specific character from the Indian language of Telugu in apps including Messages, WhatsApp, Facebook Messenger, and even Gmail. Once received, whatever app you’re using will enter a crash loop. The problem isn’t limited to iOS, as we discovered when we tried checking Messages on a Mac. For example, Messages for Mac immediately crashes in the loading process and spits out an error code that says something like “Process crashed: Messages. Too many corpses being created.” The bug can affect other Mac apps with text fields, like Chrome’s address bar. If you do fall prey to this bug, ask the person who sent the message to try to delete the entire conversation thread or at least send a new message so you can burry the character beneath new messages. If you’re really desperate for a solution, you can also upgrade to the latest iOS public beta, iOS 11.3, which in our testing is immune to this bug. At this point, it’s hard to say how many apps are affected by the bug, but some notable ones that aren’t include Slack, Telegram, and Skype. 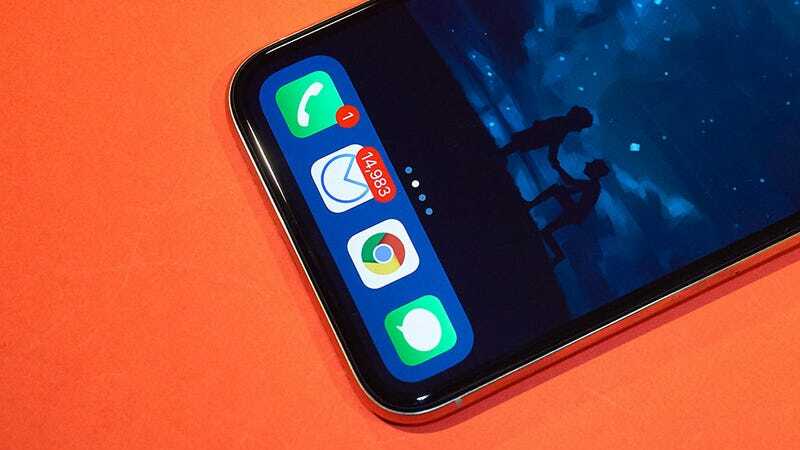 Apple is reportedly delaying upcoming features in iOS 12 to work on fixing bugs instead, and based on the how many issues keep cropping up, improved stability can’t come soon enough.